Even though, use of basil in this drink is optional, I highly recommend it. Basil has lots of health benefits and addition of basil in daily diet specially helps immune system during weather changing season. (when allergens hit us most). 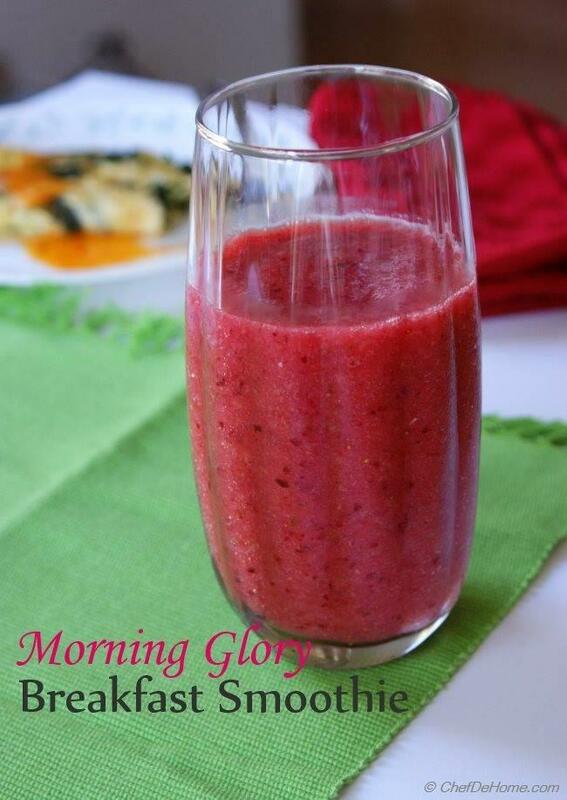 Enjoy a glass full of health for breakfast to start your day healthy, fit, lite and naturally delicious!! Or Pair it with rice and spinach omelette like I did. 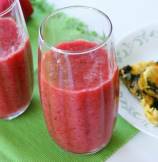 This smoothie is also great for fasting, since its vegan and gluten free. 1. 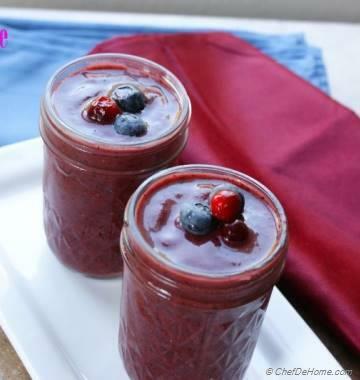 Fill blender jar with water (recommended 1/2 cup or as much as thin smoothie you like). 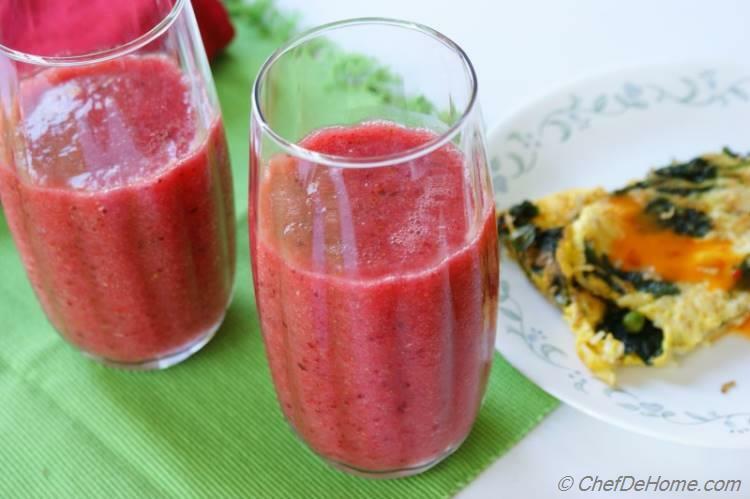 Add orange (peeled and seeded), cranberries, basil leaves, strawberries. 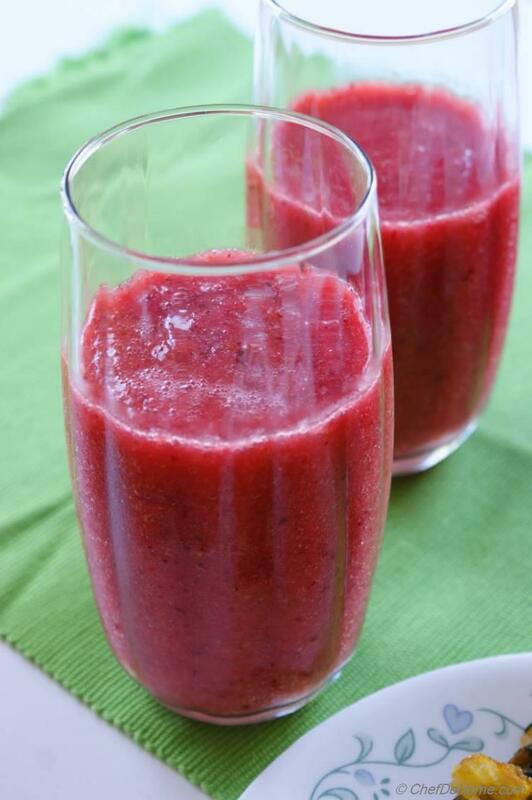 Blend at the slow speed to crush the fruit, then increase the speed to blend it per consistency you prefer. 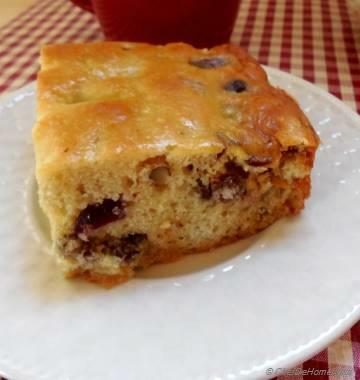 Pour in glass and enjoy!! 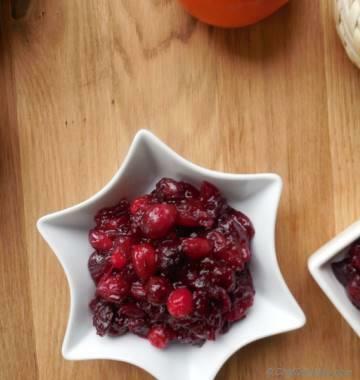 If using frozen berries then you don't need ice or add 2-3 ice cubes.